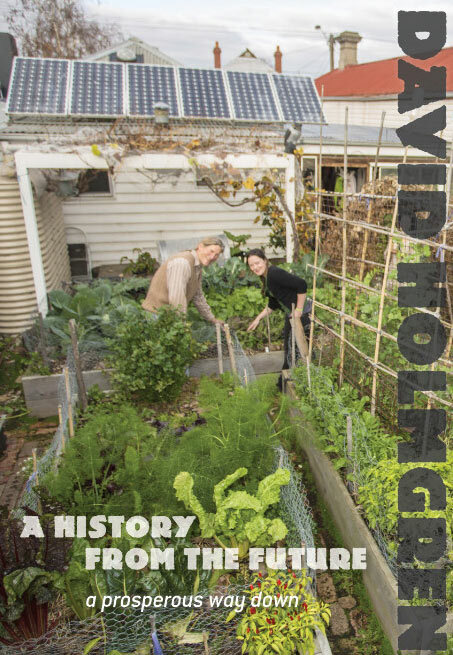 History From The Future is a short story set in Central Victoria by David Holmgren, co-originator of the globally influential permaculture concept (and long term resident of central Victoria). It provides a vision of how important the strategies and patterns of RetroSuburbia could be in shaping the future for the better. The story starts in 2017 but the narrator is speaking from a very different world in 2086. This story is based on David Holmgren’s big picture, over-the-horizon Future Scenarios work and is a long way from the practical solutions to living better in the suburbs but is within the active lifetime of children raised in todays suburbs. To read the full story, download our ebook’s for FREE when you sign-up to our mailing list and keep updated on RetroSuburbia.